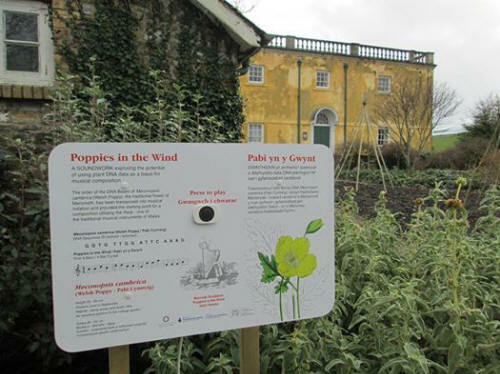 This piece of work is made in response to the Barcode for Life project in which the National Botanic Gardens of Wales has recorded the DNA of all indigenous plants of Wales. I have taken the order of the DNA Bases of plants associated with the old counties of Wales and transposed them into musical notation as a starting point for compositions utilising the traditional musical instruments of Wales – the harp, pibcorn and crwth. This work was part of the Sculpture Cymru Barcode Sculpture project supported by the Arts Council of Wales, Welsh Government, National Lottery, Brecknock Art Trust, Sculpture Cymru and the National Botanic Garden of Wales.